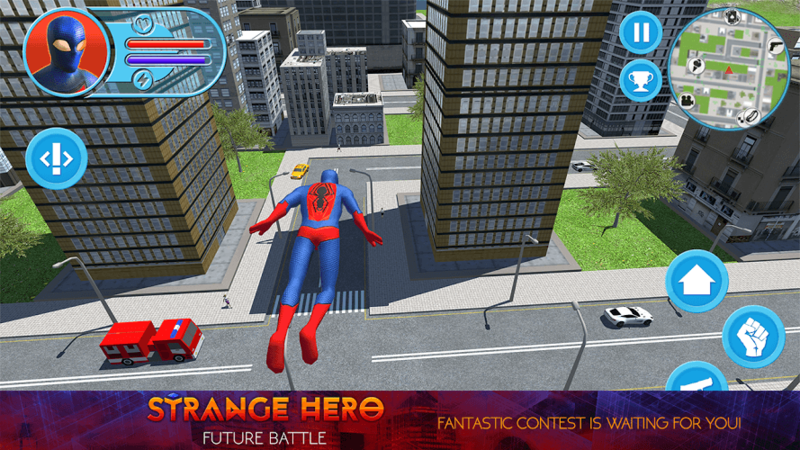 Read more about Strange Hero: Future Battle on our blog! What can you do when aliens decide to invade your city? Well, suit up and take them on. 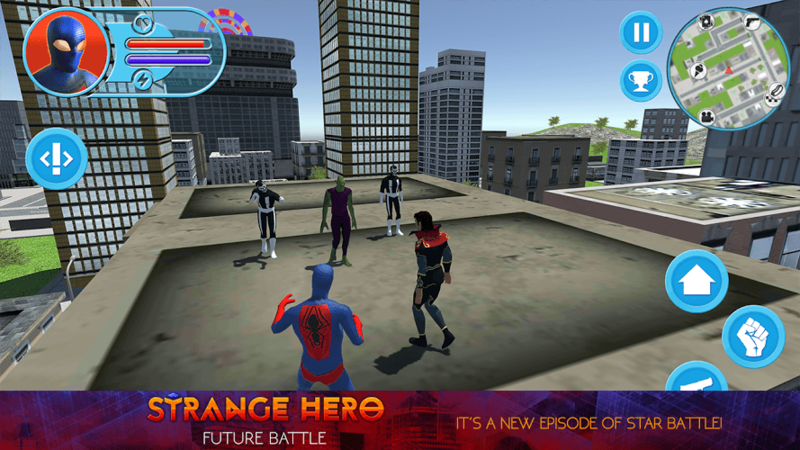 Play Strange Hero: Future Battle on PC and Mac to play through another thrilling episode of the fan-favorite superhero series. When evil alien invaders come to your city and start causing havoc, it's time for you to once again don your power suit and start saving the day. 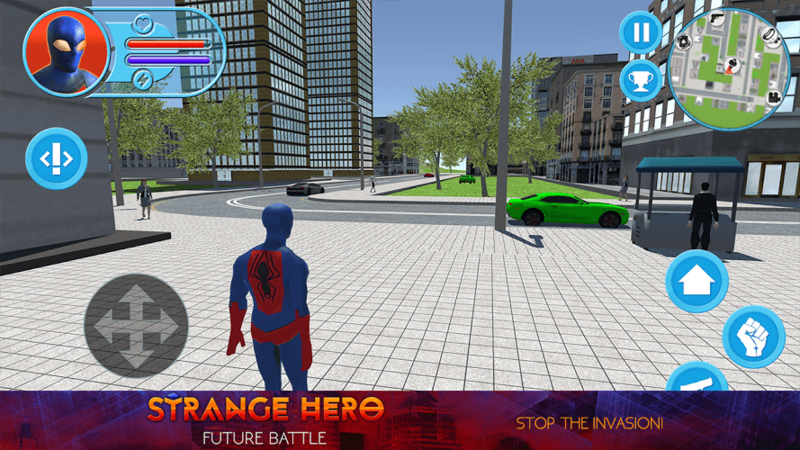 Strange Hero: Future Battle gives players plenty of quests and missions to complete. As you complete these missions, you will become more powerful until you're ready to take on the space invaders. Strange Hero: Future Battle is an action-packed thrill-ride of a video game. You will be fighting aliens, criminals, detonating explosives, take part in street races, and so much more. 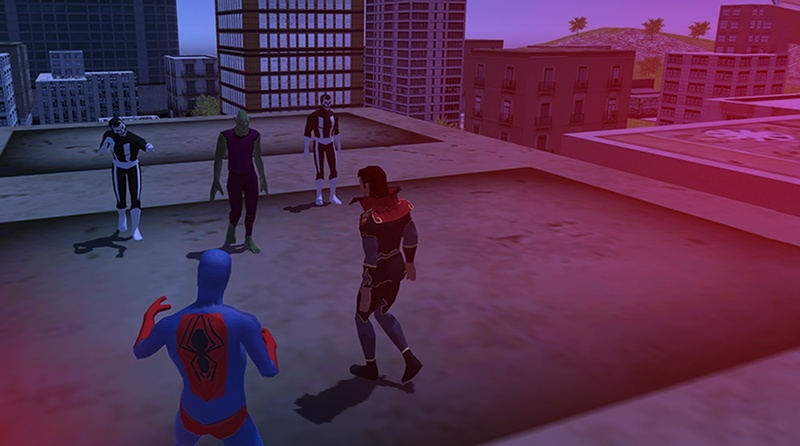 Play Strange Hero: Future Battle on Mac and PC to watch your favorite comic book superhero adventures play out right before your eyes. Why play Strange Hero: Future Battle on Bluestacks? Play Strange Hero: Future Battle. Redeem your BlueStacks Points. Get rewards! Strange Hero: Future Battle on BlueStacks comes with a default Keymapping, created based on feedback gathered from experienced gamers to ensure an optimal gaming experience. 6 You're all done! Enjoy playing Strange Hero: Future Battle on your PC. The alien invaders have tremendous power and advanced technology on their side. Bring BlueStacks into battle with you to unleash the true power of your superhero. BlueStacks is an Android emulator that gives your Mac or PC system the power to install and run any Android game or app. This means you can enjoy your favorite mobile games without all the hassle and worry that comes with mobile service contracts. Play Strange Hero: Future Battle on Mac and PC as long as you want without worrying about data overage charges, dead batteries, or poor internet connection. What's the best thing about being a superhero? The superstar status everywhere you go, of course. Now, you can experience that kind of awesome fame in real life when you broadcast Strange Hero: Future Battle to huge internet communities like Twitch.tv and Facebook Live. When you Play Bigger and defend Earth from aliens with the free BlueStacks 4 player, you can now stream Strange Hero: Future Battle and start making new friends, meeting new gamers, and even building your own fan base. Stop playing and start streaming with the new and improved BlueStacks 4 and the awesome one-click video game broadcasting controls now included for free.